Wisdom Teeth Management in Hospital or in the Chair. Customised care based on your individual requirements. Our rear teeth are known as the third molars, and most people have four of these – two upper and two lower. They are the last teeth to erupt in the mouth, usually emerging between the ages of 16 and 23 – hence the popular term wisdom teeth. But not everyone has wisdom teeth; some people are born without any or with fewer than four. Most of us have enough room in our mouths for wisdom teeth to erupt normally, in line with our other teeth. In such cases, wisdom teeth function the same as our other molars and will not require any treatment. For many of us, however, wisdom teeth can become “impacted” (blocked by other teeth) and cannot be left untreated – often requiring removal. These teeth only become impacted when there is insufficient gum space for normal eruption. An impacted wisdom tooth is one that grows out at an angle, or does not fully emerge from the gum line. The gum around that tooth can then become swollen and painful, and in some cases even infected. If you experience any of these symptoms or feel pain in your mouth, we recommend booking a dental appointment to have your teeth checked. If left untreated, wisdom teeth can cause more serious problems, like dental decay or damage to nearby teeth. However, impacted wisdom teeth do not always show any symptoms, so you might not even realise you have impacted teeth. The easiest way to know if you need your wisdom teeth extracted is to visit your dentist for an examination. 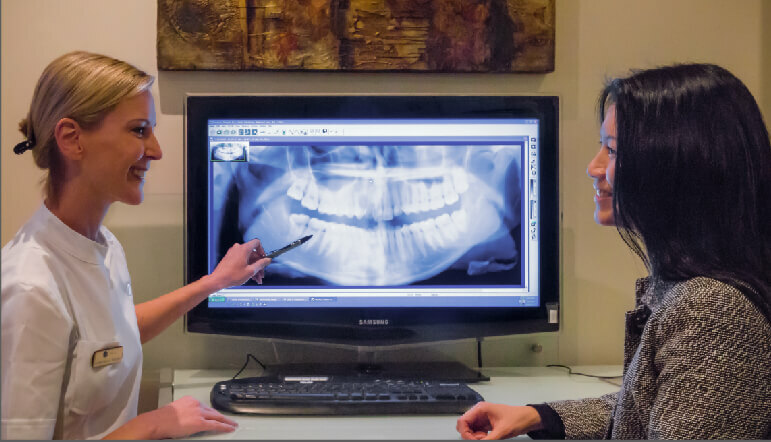 After your dental and medical history have been checked, you will have an X-ray to assess the position and angulation of your wisdom teeth. Not everyone needs to have their wisdom teeth removed. These teeth only need to be removed when they are impacted and that impaction has led to other problems. Another possible reason to have your wisdom teeth removed is to prepare for orthodontic treatment. If you are considering orthodontic treatment, your orthodontist may suggest having your wisdom teeth removed beforehand. As well as making more room for the rest of your teeth to move, removal will ensure that your completed treatment won’t be compromised if your wisdom teeth come through at a later time. It is well documented that removal of wisdom teeth in young adults (under the age of 25) is associated with less after-operation pain and swelling than in older adults. Therefore, if it is determined that your wisdom teeth are likely to cause problems, your dentist will usually recommend that you have them removed earlier rather than later. The length of your procedure may vary depending on how many wisdom teeth you are having removed or how complicated the removal is. Before your wisdom teeth are extracted, an anaesthetic is administered. Therefore certain precautions are warranted. Before you undergo your extraction procedure, your clinician will outline how to prepare. You will need to fast the night before the procedure, and you should not consume alcohol for 24 hours before receiving any anaesthetic. You will also need to organise someone to accompany you to the procedure and take you back home afterwards, and to look after you for 24 hours if your procedure has been done under sedation or general anaesthetic. We also recommend you have someone take you home if you have the procedure in-chair with local anaesthetic, but this is your choice. Sedation in preparation for wisdom tooth removal can take the form of a local anaesthetic in the dental chair or a general anaesthetic administered in a hospital. Taking into account your preference, your oral & maxillofacial specialist will discuss with you the form of anaesthesia most appropriate in your case. Wisdom tooth removal under local anaesthetic is done in the dental chair and renders the area to be worked completely numb. You’ll still be awake and aware of everything happening, and you may still feel pressure applied to the area. When having your wisdom teeth removed using general anaesthetic, the procedure will take place in a hospital (as day surgery) and be performed by an oral & maxillofacial surgeon. A specialist anaesthetist will administer the general anaesthetic and monitor you during surgery. Patients have no recollection of the procedure afterwards. A small amount of bleeding, some discomfort and a little bruising are all normal after wisdom teeth removal. The recovery time following your procedure depends on the complexity of your case; if it was a simple removal you should be back to normal the next day, but if it was more complex your recovery time could be up to a week. Pain medication can be taken to ease some of the discomfort. 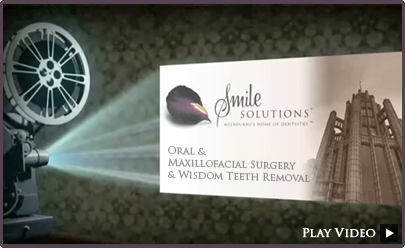 When you have had your surgery at Smile Solutions, you will be given a post-operative pack. This will include written instructions on what to do, a medical certificate if required, additional gauzes for any post-operative bleeding, and a mouthwash and syringe for keeping the surgery site clean. We will also give you our after-hours emergency number for your peace of mind. Additionally, painkillers and antibiotics, if needed, will be prescribed. While recovering from your surgery, you will need to maintain a soft diet (possibly just liquids) until the site has started healing. Cold foods or foods at room temperature are best. Hot food or drinks are not recommended as they can break down the blood clot in the socket and cause infection or “dry socket”. You should also make sure not to drink from a straw as this can also disturb the blood clot. As with all surgical procedures, there are general and specific risks associated with wisdom teeth removal, and these usually depend on whether a tooth being removed is covered by gum tissue and/or is particularly difficult to access. Your specific risks will be discussed in detail during your consultation with one of Smile Solutions’ clinicians. One uncommon complication is known as dry socket. This occurs when a blood clot has failed to form in the extracted tooth socket, or the blood clot has been dislodged. Dry socket typically occurs three or four days after the extraction. Pain (ranging from dull, to moderate to severe) and a foul mouth odour will accompany a dry socket. If you think you have developed dry socket you should contact the practice immediately for treatment. Another possible complication, though not common, involves the lower jaw nerves being traumatised by removal of the lower wisdom teeth. This can cause an unusual sensation in the lips, tongue or gum near the treated area. Generally this complication is temporary, but in some cases it can be longer lasting. In cases where the teeth in question are close to crucial nerves, it is prudent to be treated by a specialist oral & maxillofacial surgeon to ensure a safe level of care. After having your wisdom teeth removed it’s important to keep your mouth clean so as to prevent infection, but you will need to be careful when cleaning your teeth and be particularly gentle in the affected area. Avoid smoking for at least 72 hours but longer if possible. Don’t drink through a straw. Avoid excessive spitting or rinsing. Don’t drink hot soup or other hot liquids. Avoid physical exertion for 24 hours. Failure to take any of the above precautions might disturb the healing clot and cause dry socket. At Smile Solutions, we provide you with an itemised quotation during your consultation. This will include an estimate of any hospital and anaesthetic fees. You may then wish to contact your health insurance fund to gauge your out-of-pocket expenses. The cost of your wisdom teeth removal procedure will vary depending on whether it is performed by a general dentist or an oral & maxillofacial surgeon. Another factor that will affect the cost is the complexity of the removal and the type of anaesthesia used. If the surgery is performed in a hospital then there will be additional hospital fees, though Medicare and private health funds can cover some of the hospital costs. At Smile Solutions you might have your initial consultation with one of our general dentists, and then, depending on the complexity of the extraction and your personal preference, your procedure can be performed by either a general dentist or an oral & maxillofacial specialist. General dentists can extract wisdom teeth, although many now choose to refer patients to a specialist oral surgeon. If you wish to be anaesthetised for the procedure or your extractions are expected to be more complex, it is best to be treated by a registered specialist. 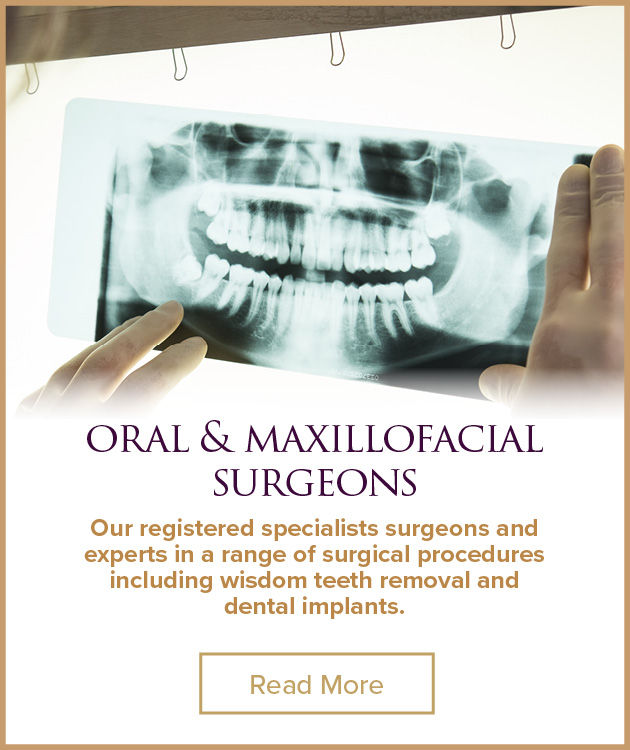 Specialist oral & maxillofacial surgeons have at least 15 years’ training in both general dentistry and hospital-based surgical and medical treatments, and so have extensive experience in performing wisdom teeth extractions. Getting specialist care for something like wisdom teeth removal is important to make sure you achieve the best possible outcome. Because they have such specialised training, oral & maxillofacial surgeons are well equipped to remove your wisdom teeth, in both simple and complex cases, and are capable of handling any complications that arise. 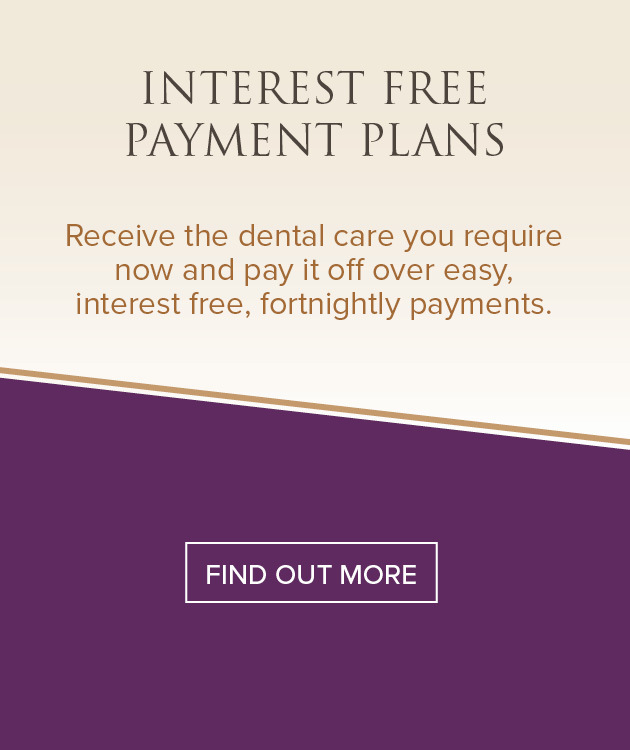 Smile Solutions provides convenience for patients by housing general dentists and specialists all within the same practice. For any treatment relating to your wisdom teeth you can start with a consultation with one of our general dentists, and then, if necessary, be easily referred to a specialist oral & maxillofacial surgeon to perform the procedure in the same building. With an experienced team, and a visually beautiful and serene practice, we provide our patients with the highest quality care and comfortable surroundings in which to undergo wisdom tooth removal.